Do you already do 150,000 or more in Gold Rush but get much of nothing for it? Come on over to Hang'em High and join us to have fun! International family group that is able to accommodate any style player. If you aren't quite up to 150,000 join Hang'em Entry and we will get you where you fit the best!! Great response so far! We have a group to fit YOU- regardless of your points or language. Message me here or come on over! Labor Day and last minute vacations have the two top posses in Hang'em High looking for a few good shooters. IF you can do 100,000 head straight to the #1 on the leaderboard and we will be happy to have you riding the rails with us. NOt quite there yet but can do 70,000? Head to Hang'em 2 use #10 on leaderboard to get there! A little bit more than you are ready for? No worries - head on over to Hang'em Entry and we will find the right spot for you! 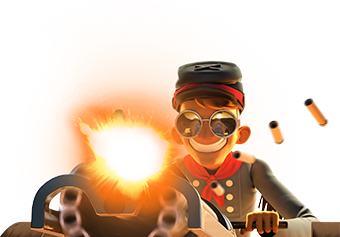 We are in need of a few top guns - if you can run down 150,000 or more and are not getting what you deserve - come to Hang'em High and join us for this Gold Rush!